Another international body, the UN’s Codex Alimentarius, worked with scientific experts for seven years to develop international guidelines for the assessment of GM foods and crops, because of concerns about the risks they pose. These guidelines were adopted by the Codex Alimentarius Commission, of which over 160 nations are members, including major GM crop producers such as the United States . 1. In the US, the term “genetically engineered” is often used in place of “genetically modified”. 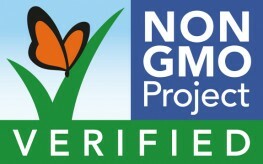 We have used “genetically modified” because this is the terminology consistently used by many authorities internationally, including the Food and Agriculture Organization of the United Nations; the World Health Organization; Codex Alimentarius; European and Indian legislation; peer-reviewed studies by industry and independent scientists; and the international media. It is also consistent with the Cartagena Protocol’s term “living modified organism”. 6. Domingo, J. L. and J. G. Bordonaba (2011). A literature review on the safety assessment of genetically modified plants. Environ Int 37: 734–742. 7. Snell, C., et al. (2012). Assessment of the health impact of GM plant diets in long-term and multigenerational animal feeding trials: A literature review. Food and Chemical Toxicology 50(3–4): 1134-1148. 8. Séralini, G. E., et al. (2011). Genetically modified crops safety assessments: Present limits and possible improvements. Environmental Sciences Europe 23(10). 9. Dona, A. and I. S. Arvanitoyannis (2009). Health risks of genetically modified foods. Crit Rev Food Sci Nutr 49(2): 164–175. 10. Domingo, J. L. and J. G. Bordonaba (2011). Ibid. 11. Diels, J., et al. (2011). Association of financial or professional conflict of interest to research outcomes on health risks or nutritional assessment studies of genetically modified products. Food Policy 36: 197–203. 12. Domingo, J. L. and J. G. Bordonaba (2011). Ibid. 13. Diels, J., et al. (2011). Ibid. 14. Dona, A. and I. S. Arvanitoyannis (2009). Ibid. 15. Séralini, G. E., et al. (2012). Long term toxicity of a Roundup herbicide and a Roundup-tolerant genetically modified maize. Food and Chemical Toxicology 50(11): 4221-4231. 16. Séralini, G. E., et al. (2013). Answers to critics: Why there is a long term toxicity due to NK603 Roundup-tolerant genetically modified maize and to a Roundup herbicide. Food and Chemical Toxicology 53: 461-468. 17. Carman, J. A., et al. (2013). A long-term toxicology study on pigs fed a combined genetically modified (GM) soy and GM maize diet. Journal of Organic Systems 8(1): 38–54. 18. EU Food Policy (2012). Commission and EFSA agree need for two-year GMO feeding studies. 17 December. 27. European Commission (2010). A decade of EU-funded GMO research (2001–2010). 28. European Commission (2010): 128. 29. European Commission (2010): 157. 31. Brouk, M., et al. (2008). Performance of lactating dairy cows fed corn as whole plant silage and grain produced from a genetically modified event DAS-59122-7 or a nontransgenic, near isoline control. J Anim. Sci, (Sectional Meeting Abstracts) 86(e-Suppl. 3):89 Abstract 276. 32. Calsamiglia, S., et al. (2007). Effects of corn silage derived from a genetically modified variety containing two transgenes on feed intake, milk production, and composition, and the absence of detectable transgenic deoxyribonucleic acid in milk in Holstein dairy cows. J Dairy Sci 90: 4718-4723. 33. de Vendômois, J.S., et al. (2010). A comparison of the effects of three GM corn varieties on mammalian health. Int J Biol Sci. ;5(7):706-26. 34. Ewen, S.W.B. and A. Pusztai (1999). Effect of diets containing genetically modified potatoes expressing Galanthus nivalis lectin on rat small intestine. Lancet 354:1353-1354. 35. Fares, N.H., and A. K. El-Sayed (1998). Fine structural changes in the ileum of mice fed on delta-endotoxin-treated potatoes and transgenic potatoes. Nat Toxins. 6:219-33. 36. Kilic, A. and M. T. Akay (2008). A three generation study with genetically modified Bt corn in rats: Biochemical and histopathological investigation. Food Chem Toxicol 46(3): 1164–1170. 37. Malatesta, M., et al. (2002). Ultrastructural morphometrical and immunocytochemical analyses of hepatocyte nuclei from mice fed on genetically modified soybean. Cell Structure and Function 27:173-180. 38. Malatesta, M., et al. (2003). Fine structural analyses of pancreatic acinar cell nuclei from mice fed on genetically modified soybean. European Journal of Histochemistry 47:385-388. 39. Hammond, B., et al. (2004). Results of a 13 week safety assurance study with rats fed grain from glyphosate tolerant corn. Food Chem Toxicol 42(6): 1003-1014. 40. Hammond, B. G., et al. (2006). Results of a 90-day safety assurance study with rats fed grain from corn borer-protected corn. Food Chem Toxicol 44(7): 1092-1099. 41. Hilbeck, A., et al. (2011). Environmental risk assessment of genetically modified plants – concepts and controversies. Environmental Sciences Europe 23(13). 42. Hilbeck, A. and J. E. U. Schmidt (2006). Another view on Bt proteins – How specific are they and what else might they do? Biopesti Int 2(1): 1–50. 43. Székács, A. and B. Darvas (2012). Comparative aspects of Cry toxin usage in insect control. Advanced Technologies for Managing Insect Pests. I. Ishaaya, S. R. Palli and A. R. Horowitz. Dordrecht, Netherlands, Springer: 195–230. 44. Marvier, M., et al. (2007). A meta-analysis of effects of Bt cotton and maize on nontarget invertebrates. Science 316(5830): 1475-1477. 45. Lang, A. and E. Vojtech (2006). The effects of pollen consumption of transgenic Bt maize on the common swallowtail, Papilio machaon L. (Lepidoptera, Papilionidae). Basic and Applied Ecology 7: 296–306. 46. Gassmann, A. J., et al. (2011). Field-evolved resistance to Bt maize by Western corn rootworm. PLoS ONE 6(7): e22629. 47. Zhao, J. H., et al. (2010). Benefits of Bt cotton counterbalanced by secondary pests? Perceptions of ecological change in China. Environ Monit Assess 173(1-4): 985-994. 48. Lu, Y., et al. (2010). Mirid bug outbreaks in multiple crops correlated with wide-scale adoption of Bt cotton in China. Science 328(5982): 1151-1154. 49. Benbrook, C. (2012). Impacts of genetically engineered crops on pesticide use in the US – The first sixteen years. Environmental Sciences Europe 24(24). 50. Heinemann, J. A., et al. (2013). Sustainability and innovation in staple crop production in the US Midwest. International Journal of Agricultural Sustainability: 1–18. 51. Powles, S. B. (2008). Evolved glyphosate-resistant weeds around the world: Lessons to be learnt. Pest Manag Sci 64: 360–365. 52. Székács, A. and B. Darvas (2012). Forty years with glyphosate. Herbicides – Properties, Synthesis and Control of Weeds. M. N. Hasaneen, InTech. 53. Benedetti, D., et al. (2013). Genetic damage in soybean workers exposed to pesticides: evaluation with the comet and buccal micronucleus cytome assays. Mutat Res 752(1-2): 28-33. 54. Lopez, S. L., et al. (2012). Pesticides used in South American GMO-based agriculture: A review of their effects on humans and animal models. Advances in Molecular Toxicology. J. C. Fishbein and J. M. Heilman. New York, Elsevier. 6: 41–75. 55. Kvakkestad, V., et al. (2007). Scientistsʼ perspectives on the deliberate release of GM crops. Environmental Values 16(1): 79–104.